When somebody tells you to “take a hike” they normally mean it as insult. But hiking is one of the most reward activities you can do with many health benefits including, lowering the risk of heart disease, improving your blood pressure and blood sugar levels, boosting your bone density and can be a great social affair too. A study published by the International Journal of Sports Medicine even suggests that hiking may be beneficial in the recovery of cancer patients. If you suffer from knee pain or instability the idea of going for a hike may fill you with horror. The best knee brace for hiking will help alleviate that pain from the knees, providing support as you hike and compression that increases the blood flow. Just like many other athletes who use knee braces to improve their sports performance and protect their knees, a hiker can use a knee brace to make their hikes longer and more enjoyable. Later we’ll look for the best knee brace for hiking but first let’s see why knee braces are so good for us and other ways we can protect those all important knees. Our knees bear the weight of our body for the majority of the day with over a third of Americans currently suffering from knee pain. With safe hiking practices and the best knee brace for hiking we can help you protect your knees and avoid becoming just another statistic. Four way compression system ‘hugs’ the knee from every angle. Open patella design with two dedicated patella straps that help stabilize the knee cap while relieving patella tendonitis. Two medial and lateral stabilizers help side to side support for ligaments and help treat ACL lateral and medial ligament sprains. Layers of elastic offer improved blood circulation with compression. Helps reduce lactic acid build up and aids pain relief in your knees. Non-slip neoprene with open patella design. Dual stabilizers with adjustable bi-directional straps. Relieves ACL, LCL, MCL, meniscus tear, arthritis, tendonitis pain. Inexpensive neoprene knee brace, top selling. Adjustable Straps and open-patella design. Lightweight and flexible knee brace. Reduces pain in minor conditions like tendonitis or arthritis. 3D Technology and four-way stretch for better knee protection and muscle recovery. Hiking is defined as the activity of going for long walks in the countryside, with the Cambridge dictionary giving the example of “We’re going hiking in Sierra Nevada”. 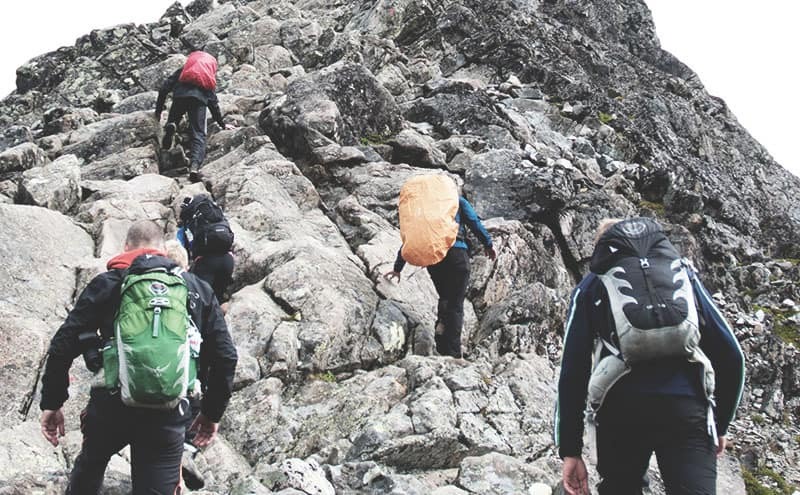 Hiking can be a social experience or just a personal way of exploring nature and your local surroundings while also being a great form of exercise. As with most forms of exercises it carries risks of injury, with knee pain being one of the most common forms of injury experienced by seasoned hikers. When you go out hiking, you don’t want to spend more time worrying about the health of your knees, there are all those sights to enjoy instead. A knee brace for hiking will help add more stability to your knees and allow you to trek for many more miles.Knee problems are common because they can be one of the most abused joints in your body, especially when descending down a steep slope. The following YouTube video looks at exercises you can perform to enhance your knee health while hiking. Safety should always come first when hiking, whether just walking for half an hour outside in the park or to a more remote corner of your state. A knee brace will offer compression which can improve the blood circulation to your legs but shouldn’t be so tight as to restrict blood flow or movement of the knee. The best knee brace for hiking will offer support stabilization and added protection for your knees for a more comfortable and enjoyable experience. 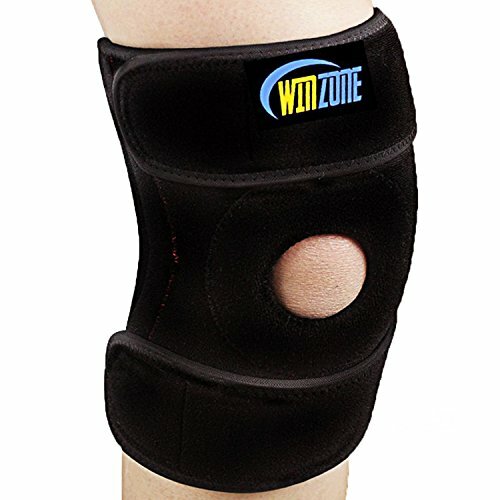 Knee braces can help with numerous specific issues, many of which are suffered by hikers but by no means unique to them. Using the best knee brace for hiking can put a spring in your step if you suffer from arthritis or any other form of joint pain. A knee brace will apply pressure to the joint which can reduce the pain associated with arthritis and give the additional support to hike without pain. Injuries like meniscus tear or ligament sprains can be prevented with the support from a knee brace and if the injury has already occurred can aid the recovery. 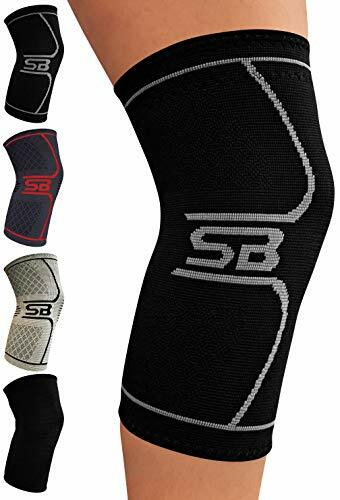 Knee braces that use compression to increase the circulation to the patella area will help support the knee and aid its healing. Using a knee brace means you can start hiking again without risking further injury. For people who’ve suffered a dislocation of the knee, a knee brace can help to stabilize the kneecap while keeping it in place. Hinged braces or closed patella designs tend to work best in these cases as they surround the kneecap and prevent it from slipping out of place. With so many different types of knee braces, sleeves and straps available it can be hard to know which will offer the best support for your knee as you hike. Choosing a lightweight, breathable material like neoprene or a nylon/cotton blend is always a good start, although remember to check if it contains spandex or latex if your skin is sensitive. You’ll want something which can be easily worn under your clothes and waterproof is always a benefit if you can find it. Check the sizing available, sizing charts provided by the manufacturer, and if only one size is available check your knee fits into the maximum/minimum measurements. If you wear a brace that’s too small, you risk making the injury worse, while on the other hand a brace that’s too large won’t help your knee at all. If you know you need a knee brace or support but don’t know which one to go for, we’ve looked at many of the top-selling models to bring you the best knee brace for hiking. Now let’s wrap this up (bad pun!) and look at our favorite five knee braces we found. 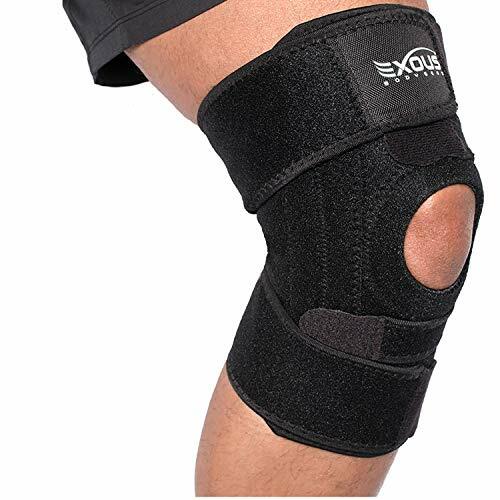 This knee brace from Exous Body Gear offers a non-slip fit with premium-quality materials that provide flexibility when you want to stretch and absorbs the sweat around the knee. Using super strong Velcro attachments with built-in lateral stabilization gives an all-round compression. Two small crossover straps are fully adjustable to help stabilize the patella. Double stabilizers work to provide LCL/MCL ligament support which can be particularly important for hikers with weak knees. A slimline profile makes it easy to wear under your clothing, with a skin friendly lycra lining that prevents the brace from irritating your skin. An elastic inner does a good job of positioning the brace on your knee for easier fitting. Dual metal coil stabilizers provide stability to ligaments. Four strap system creates half-inch gap at back of knee for 90-degree unrestricted bending. Some users found it too loose fitting. Reports that straps are not as secure as advertised. Made from a 68 percent nylon and 32 percent spandex blend, this brace uses elastic layers that work together to stimulate blood flow, improving the oxygen delivery to your knee while offering pain relief. Smooth no-slip top and bottom cuffs are found by most to be very comfortable with the fabric also being anti-odor, moisture wicking and breathable too. A silicone grip gel provides a soothing and friction-less fit. Although it may not look very strong when first taken out of the packaging, the form-fitting fabric hugs to your knee giving support and stability while not compromising your mobility. 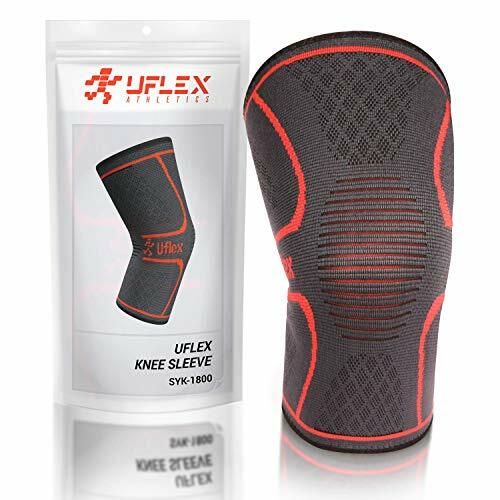 A choice of three color combinations and four sizes and at just over 10 bucks for a pair, make these an excellent choice for somebody looking for all-around knee protection when hiking at a very low cost. No more smelly braces on longer hikes with anti-odor technology. Hugs to your knee shape. Offers 360-degree protection to knee. Comes in multiple sizes. Spandex may irritate and affect some people’s skin. Many hikers don’t like closed knee design. Some customers found it lacked support. 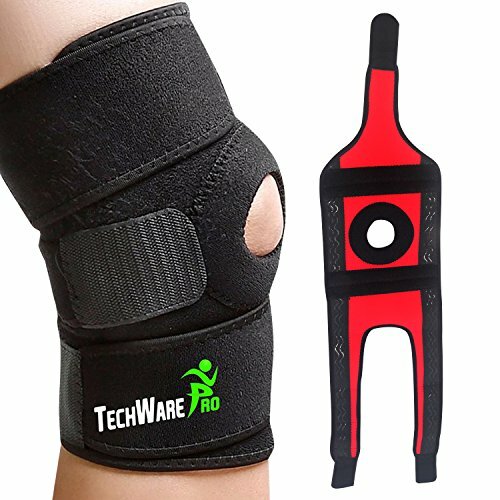 The Tech Ware Pro Knee Brace is made from neoprene fabric which features a silicone gripping strip to prevent it from slipping mid-hike. Unlike most other open patella design braces that only have straps on one side of the knee, this brace uses alternating Velcro straps for even support and four spring stabilizers. The manufacturer claims this ensures the maximum and uniform support around the knee, something most hikers are looking for on long hikes. The moisture-wicking neoprene will keep your knees drier than other cotton/lycra blends and the non-slip properties mean you won’t have to worry about the brace rolling or slipping during your hike. Lightweight and stretchable, the neoprene allows you to go about your daily activities, while offering support but not restricting movement. Slightly higher in price than some similar models, this brace with its flexible spring stabilizers, is a worthwhile investment for somebody who enjoys hiking but suffers from instability of the knees. Dual-strap system and flexible spring stabilizers. Moisture-wicking neoprene is skin friendly. Slightly more expensive than competitors. Some people find the odor of neoprene off-putting. Can slip away from the knee occasionally. This lightweight knee brace comes in one size to fit knees between 12.4 and 21.7 inches in circumference with adjustable Velcro straps to ensure a snug fit. The moisture-wicking neoprene fabric offers tight support and comfort at the same time. An open patella design is favored by many hikers, allowing for more movement of the knee cap. This neoprene sleeve is both cheap and effective, regularly topping the best seller charts of many retailers. Machine washable (although not recommended putting in the dryer), the neoprene is tough and won’t lose its shape over time. It’s tight enough not to slip when being used but doesn’t restrict your movement, which in our opinion, a hiker can’t ask for much more. More petite users may find it doesn’t fit snug enough. Neoprene often smells like damp wetsuit when it becomes wet. Velcro straps can lose their strength over time. This is one of the least expensive knee braces we looked at and one of the most flexible on the market. Made with a nylon and lycra blend this sleeve has a four-way stretch capability that many hikers find offers them superior protection. Double gripping silicone strips keep the knee sleeve in place and aim to ensure it doesn’t slip or roll up. A breathable material, this brace is slim and comfy enough to wear under clothing while hiking to protect your knee. The main customer complaints appear with durability. For those hikers who prefer shorter hikes it can offer great protection, but for more energetic or longer endurance hikes it may not stand the test of time. Quality 3D design for knee protection. Spandex and latex in the blend can irritate some people’s skin. Silicone strips tend to wear away very quickly. Doesn’t retain it’s tight fit after extended use. Choosing the best knee brace for hiking can be more difficult than choosing your next route for a hike. The most important thing is not to compromise on quality or a comfortable fit, you only get one pair of knees. Knee surgery can be a very painful and invasive process which the best knee brace for hiking can help you avoid. In our opinion, the Exous Knee Brace Support Protector is the best knee brace for hiking you can buy today. The built-in lateral stabilization, a four-way, all-round compression system and skin-friendly lycra lining will offer a comfortable support for your knee as you climb that next big hill. And who knows, maybe the next hill you hike up will be a mountain.